The judges dithered until after midnight before reaching a verdict. When it came, the public favourite won. Seong-Jin Cho, 21, of South Korea received his ovation with appropriate humility. But the long deliberations led to leaks that the verdict had been close. Just behind Cho, in second place, came Charles Richard-Hamelin, 26, from Francophone Canada. On a day that Canada elected a Francophone prime minister, this was almost a double celebration. In third place was Kate Liu of the USA. UPDATE: Whispers from the jury room here. Canada’s new prime minister is the son of a French-Canadian father and an English-Canadian mother, so really the theoretically perfect Canadian… but more accurately fully bilingual as opposed to ‘francophone’. And Justin Trudeau’s paternal grandmother was Scottish, so he is really 3/4 anglophone! The joy in Canada is tempered. The post-election call-ins yesterday prominently featured very blue Blue voters. In characteristic fashion, they think the sky has fallen and the end is nigh. No wonder the deliberations took such a long time: Cho, Hamelin, Liu, they are all fantastic in their own personal way. As for Canada and Chopin: after years of suffering that pretentious boylord, finally we have some top notch, mature, distinctive Chopin playing from a Canadian pianist – even two, since Tony Yang is Canadian as well. It’s a great day for Canada indeed! “Top notch, mature, distinctive Chopin playing from a Canadian pianist” has been around for more than 40 years- Janina Fialkowska, hailed by Arthur Rubinstein himself as “a born Chopin interpreter”. I will go to his concerts ! It’s a real musician ! 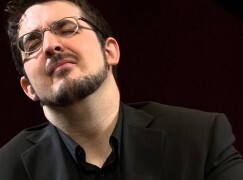 His name is Charles Richard-Hamelin, not Charles-Richard Hamelin. And where did you get that information that he is the nephew of M.-A. Hamelin? If it’s true, it’s a well kept secret. Charles Richard-Hamelin is Marc Andre’s nephew in the same way Maria Milstein ( Dublin Competition) is Nathan Milstein non existent niece. Of course, Justin Trudeau is bilingual (one Francophone and one Anglophone parent), but let’s not let facts get in the way.